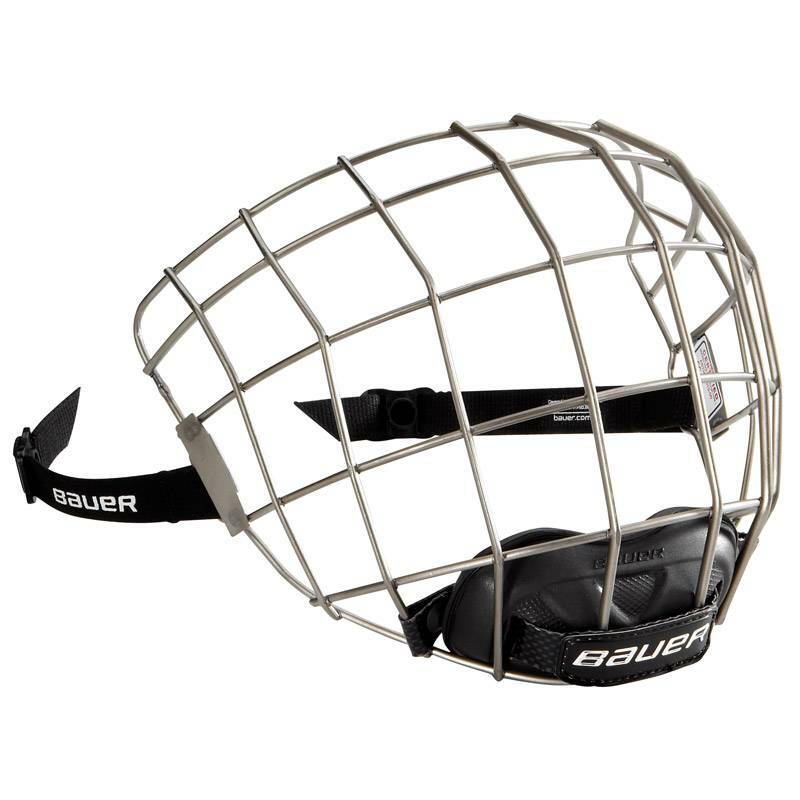 The Bauer RE-AKT Hockey Helmet Cage offers great protection and visibility while being the lightest cage on the market. 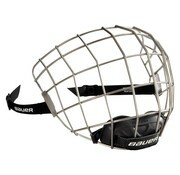 Bauer has used narrower wires along with the Titanium Smoke color to maximize visibility. 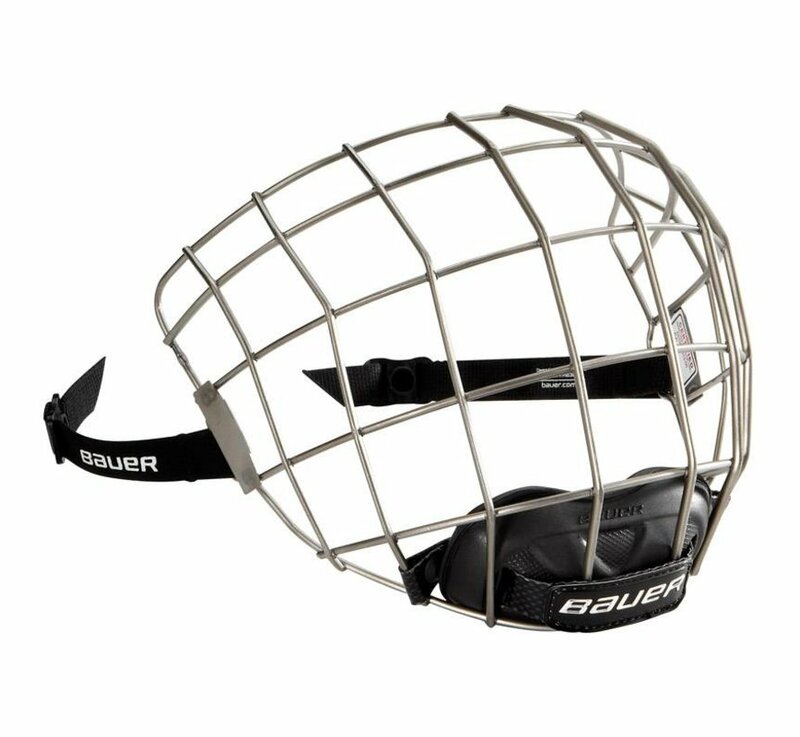 The smoke colored cage doesn't reflect light like the chrome cage, and the black puck is more visable though a smoked cage verses the black cage. The RE-AKT face mask is 46% lighter than traditional face masks with Bauer's Titanium design. The free floating chin cup maximizes range of motion and the Poron® XRD™ insert combines comfort and impact absorption properties.